Katrina Kaif is a British Indian actress & former model who appears in Indian films, mainly in the Hindi language film industry. Katrina Kaif was born in Hong Kong with her mother’s surname Turquotte , on 16 July 1983. According to the actress, her father is a British businessman of Kashmiri descent and her mother is an English lawyer and charity worker. She has seven siblings: three older sisters, three younger sisters and an older brother. She started modeling accidentally when she was in Hawaii at the tender age of 14 when she was approached for a jewelry campaign. Thereafter she continued modeling in London. 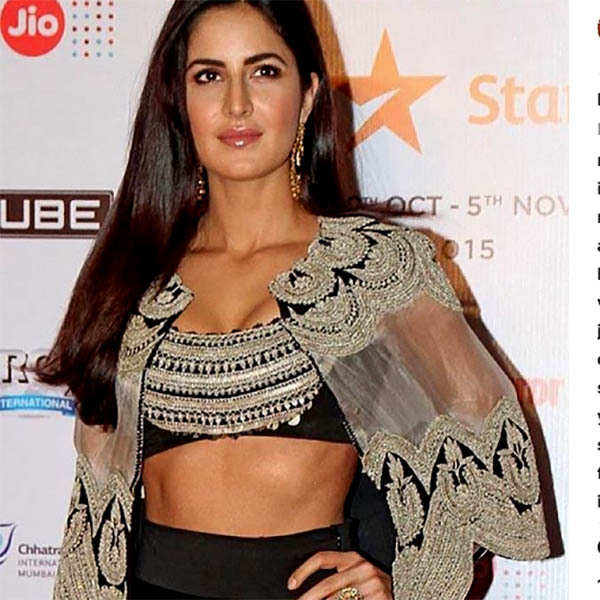 KAT was voted the sexiest Indian woman in the world by Eastern Eye in the years 2008, 2009, 2010 & 2011.
greatartist – Gorgeous and beautiful like a Qeen. We’re going in, all guns blazing! #HowDoILook …. Why don’t you find out too ?! Who run the world – girls. The best thing you’ll see all day . Too many people are trying to find the right person instead of being the right person. After 3 to 4 months of having a crush on someone, you either fall in love with that person or become interested in someone new.